The Vancouver Canucks have acquired 27-year-old goaltender Marek Mazanec from the New York Rangers for a seventh round pick in the 2020 NHL Draft. 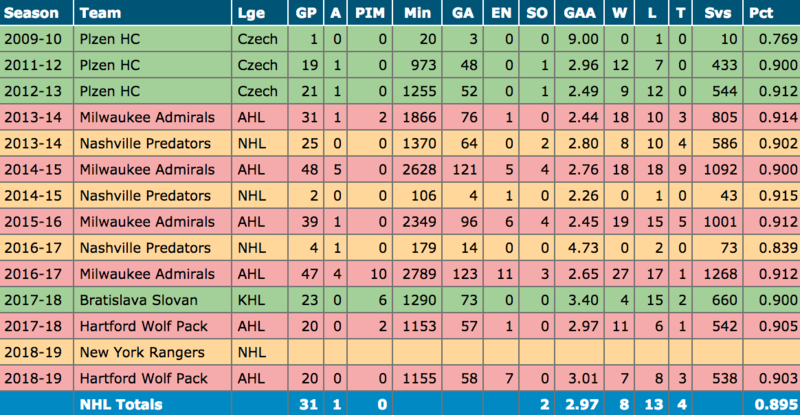 The Czech Republic native has 31 games of NHL experience with the Nashville Predators. 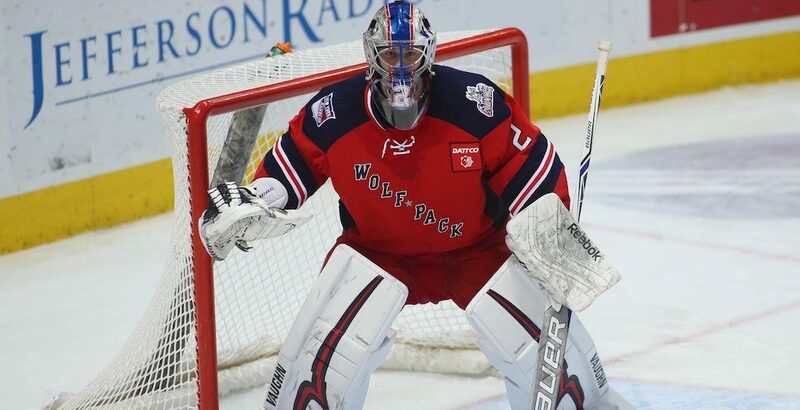 Playing this season with the AHL’s Hartford Wolf Pack in the Rangers’ system, the 6-foot-4 goalie hasn’t appeared in an NHL game in two seasons. The move was a desperate one for the Canucks, who were left with egg on their face when they were forced to play 19-year-old prospect Michael DiPietro in Monday’s blowout loss to San Jose. Jacob Markstrom suffered a minor injury prior to the game, meaning that the Canucks were left without a professional goalie under contract. Mazanec has appeared in 20 AHL games this season, posting a record of 7-8-3 with a .903 save percentage, 3.01 goals against average, and two shutouts. Expect Mazanec to join the Canucks on their upcoming California road trip. Vancouver plays three games in four nights, beginning Wednesday in Anaheim. Head coach Travis Green said that Markstrom is day-to-day with a strain and that he’s “hopeful” he can play against the Ducks. Mazanec will give the team some flexibility in case Markstrom needs more rest.